The "JobNet- Active citizens combating youth unemployment" project (EACEA 529171-EFC-1-2012-1-HU-EFC-CSP) is an international research about the Youth unemployment in Europe.The main goal of the project is to highlight and promote innovative bottom-up solutions Europe-wide aimed at combating youth unemployment. The main objective of the JobNet project is to build a transfrontier network of non- governmental organization to identify, share, discuss and encourage initiatives successfully tackling youth unemployment in different European countries which can be deployed in other EU states as well. 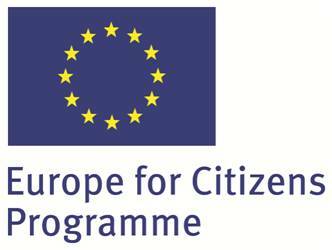 The project intends to involve unemployed youth as active citizens following the principle:“Nothing about us, without us”. In the frame of the project six civil organization from Czech Republic, Croatia, Hungary, Germany, Latvia and Slovakia closely cooperate with each other and all key actors to raise public awareness on importance of active citizenship, citizens’, civil organizations’ initiatives tackling youth unemployment. The transfrontier network of wide stakeholders explored the background of the problem by conducting a comparative international audiovisual research in the respective countries. At an international conference in November,2013 in Eger,participants exchanged information, knowledge on successfully applied practices handling youth unemployment, e.g. entrepreneurship, skill development, internships, guidance&mentoring, combating early school-leaving, youth banks and youth involvement, empowerment techniques. The network would serve as a platform and resource-base to disseminate practices how to help young jobseekers to understand labour market, economic and job crisis, and methods of pioneering solutions to stimulate job growth and job seeking techniques. The outcomes of the research and European were debated on the closing conference and as a closure of the project were published on DVD. Publication was prepared containing the best practices of these countries. The research paper was also finished.These along with a commonly formulated recommendation will be sent to decision/policy makers of the respective countries and EU besides wide range dissemination to the public and actors affected by, interested in the increasing tendency of youth joblessness.